June | 2009 | Watts Up With That? Roger Pielke Senior on Real Climate claims: "bubkes"
June 30, 2009 in Oceans, Science, Sea ice, Sea level. June 30, 2009 in Climate data, Weather_stations. June 30, 2009 in Climate data, Climate_change, Science. June 29, 2009 in Science, Solar. June 29, 2009 in Politics, Weather_stations. June 28, 2009 in Climate data, Ridiculae, Science. June 28, 2009 in Forecasting. June 28, 2009 in Climate data, Climate_change, Weather_stations. June 27, 2009 in Announcements, Carbon dioxide, Politics. 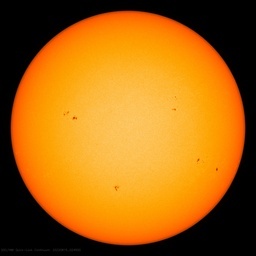 June 27, 2009 in Earth, measurement, Science, Solar.